We would like to introduce you to one of our members whom many of you have never met. Her name is Amy Wiley. Amy is in her late 20s and began to attend EBC in 2010. She was the head of our deaf interpretation ministry for some time, but she has debilitating health problems, making it so she was unable to continue interpreting, or even attend church. She still considers EBC her home church, and appreciates when someone can visit her. We have recently partnered with her in a new ministry she has started. Please read the note from Amy below and check out her website. “I’ve had a dream for several years now to have a crafting ministry that was both run by and ministered to chronically ill people. Young and middle-aged adults who are homebound and often are not able to connect with a church can face severe isolation and can struggle with a sense of purpose. 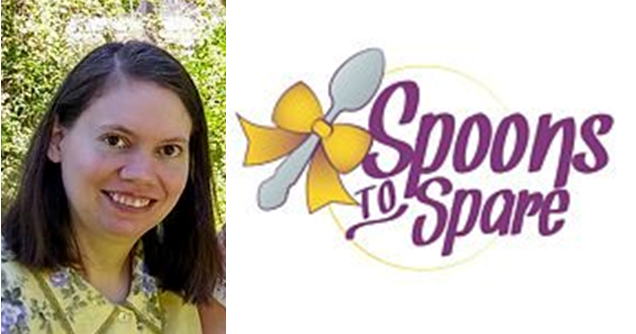 I’m excited that EBC has adopted my ministry, Spoons to Spare, a ministry for spoonies, by spoonies! A spoonie is someone who lives with a chronic illness. EBC has helped us get an online Etsy shop running and is helping chronically ill crafters by donating crafting materials, and all of the shop proceeds are going to fund research for neglected diseases like my own.